Your sleeping position may also be one of the reasons why you are suffering from stomach, neck, or back pain problems. Many people do not have an idea about the different types of sleeping positions and their impact on health. Knowing the correct sleeping position is very important, especially for anyone who is suffering from such health issues. Even if you are not suffering from these problems, learning about the right sleeping positions will help you avoid having them in the future. Let’s take a look on the eight different types of sleeping positions and their impact on the body. Sleeping on your back with arms down is considered as one of the best sleeping positions for a healthy spine. 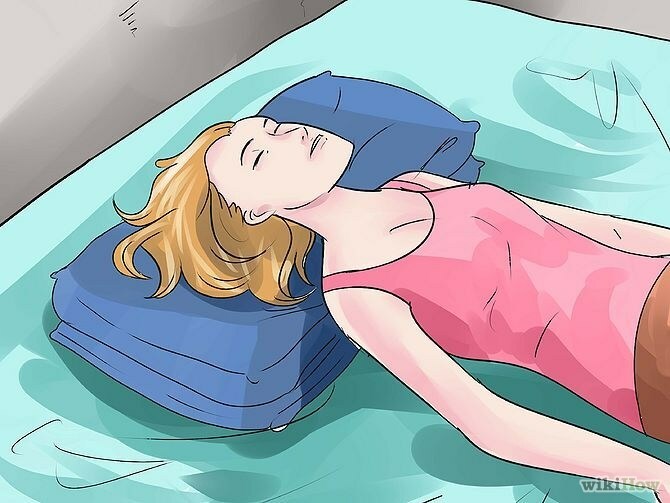 Sleeping in this position is also a good option if you are suffering from neck pain. But contrary to its health benefits, this sleeping position has some cons as well. According to researchers, back sleepers tend to snore more than people sleeping in other positions. Sleeping on the back can also lead to problems like sleep apnea. This sleeping position is popularly known as the starfish position and is good for the back. Whether your arms are at the sides, up, or around the pillow, sleeping in this position can be good for health in numerous ways. This sleeping position is not only helpful in curing neck pain, but also prevents skin breakouts and facial wrinkles. However, like the above-mentioned position, it also leads to snoring problems. Moreover, putting your arms up can put pressure on the nerves in your shoulders, which can cause pain in that area. Fetal position is one of the worst sleeping positions as it leads to several neck and back problems. Many people love to sleep in a curled position as they find it comfortable; however, the extremely curled position not only can lead to pain in the neck but also prohibits deep breathing. Sleeping in this position is also not good for pregnant women. Sleeping in a freefall position does not only improve your digestive system but is also proven to be very helpful in reducing the snoring problem. When sleeping in this position, one may tilt his head to one side or the other. This can put a lot of stress in the neck and thus leads to neck problems. This also increases the chances of wrinkles on the face. One side arms out is also good for curing the snoring problem. However, when sleeping in this position, the flow of blood gets restricted due to the pressure on the nerves. This can cause pain in the neck and shoulder. This sleeping position is also good for people suffering from back and neck pain. In addition, this position also helps in curing problems like sleep apnea. However, like the other sleeping positions, it also has some drawbacks. Sleeping in this position can lead to other problems like wrinkles and sagging breasts. If you are a side-sleeper, which side you sleep can also have an impact on your health. If you sleep on the right side, it can create heart issues; if you sleep on the left side, it can put a strain on your internal organs like the stomach, lungs, and liver. Regardless of which position you sleep, you will experience less pain if your body is supplemented by a pillow. Back sleepers can put a pillow below their spine arc, while freefall sleepers can put a pillow under their hips to avoid pain while sleeping.